The executive world often calls for a company culture check, but many businesses do not know what this means and how important this is for their company. As different careers create unique industry leaders, every company aims to transform ordinary employees into focused and disciplined leaders. Companies demand leaders with clear and concise project plans and have a firm stand on legal and ethical issues. This can help them in expanding their business and building a strong brand reputation in various markets. Only great office cultures, however, can successfully produce efficient industry leaders. Employees spend most of their day in the office, so it is important to establish good relationships with your coworkers. This can help in squeezing out the creative juices of each employee and encourage collaborative efforts. To further enhance creativity in the office, establish the essential bond that holds huge corporations together—trust. By also maintaining a healthy level of competition, employees can work toward a shared goal and not focus on staying ahead of the game. For some, creating a successful office culture also translates into increased productivity; as this phenomenon continues, a growing number of companies demand the secrets behind it. They, however, forget one simple element—the working environment. Anything in the working environment may influence your employees and their productivity. Some design experts explain that setting up a conducive working environment delivers higher and more efficient production. Working in cubicles, for instance, allows employees to focus more on their tasks. Partitions prevent distractions, such as loud noises and conversations happening nearby. They preserve privacy in the office and yet do not serve as physical barriers in the way that walls do. The right office furniture may also influence your worker’s efficiency. Make sure the office furniture suits the need and nature of your employee’s job. Desks and tables do not have to be sophisticated and costly as long as they are functional and decent. Choosing the right office furniture and partition can stimulate your workers’ concentration, leading to higher output. At The Caretakers, we can provide custom-made office furniture that fits your business needs. 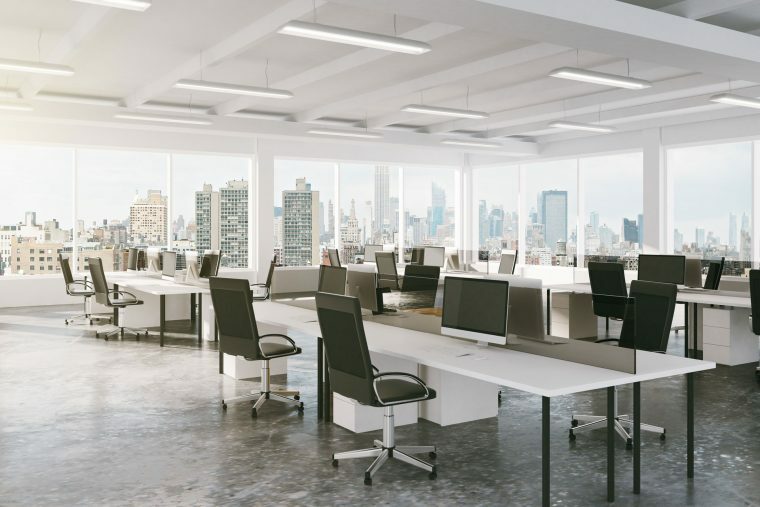 Our renovation experts have designed demountable office partitions and modular office partition panels that many companies prefer, especially during office remodelling. Contact us today so we can start discussing your office needs.